I would like to extend a warm welcome to my dear friend Lori, who is now a regular contributor to my site. Lori is a certified clinical herbalist and I am honored to have her here to share her knowledge. 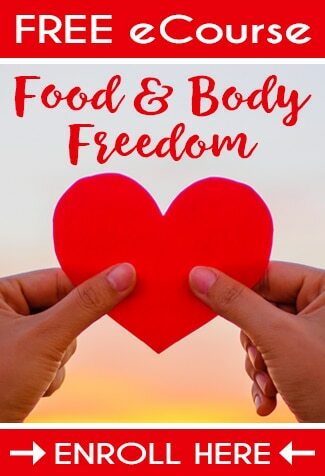 While I’ve always been a fan of herbal remedies, it wasn’t until the last few months that I really started to become fascinated with herbs, so I am excited to learn new information! 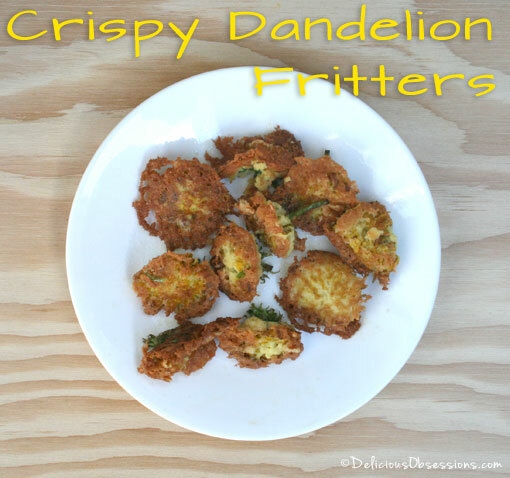 I tried these dandelion fritters last weekend and they were SO good! The recipe is gluten and dairy free. This is Lori’s first post here, so lets give her a big welcome! To learn more about Lori, you can check out her bio here. Even though Americans nowadays are bound and determined to label dandelions (Taraxacum offincinale) as weeds, it wasn’t always that way. Mayflower passengers brought dandelions with them deliberately. Dandelions have been used medicinally by Native Americans and other peoples dating all the way back to A.D. 1000. Tenth century Arabian physicians first described the dandelions’ ability for helping with liver problems and showing how they offered diuretic properties. While some herbalists believe and argue that dandelion is one of the most “beneficial and healthful” of herbs1, it is almost exclusively the leaves and roots they are talking about. Most information you will see available refers primarily to leaves and roots. Today, we are going to be talking about the flowers, which also offer a range of health benefits. The flowers contain carotenoids, most notably taraxanthin, which is a mixture of lutein, flanoxanthin, violaxanthin and chrysanthemaxanthin1. Nutrient analyses also detected beta-carotene, cryptoxanthin and cryptoxanthin epoxide.2 Taraxanthin helps strengthen the mucous membranes, boosts the immune system and is an antioxidant1. Lutein is most well-known as “the eye vitamin”. Lisa Ganora, herbalist, points out that studies suggest mixed carotenoids can act as anti-cancer preventatives.2 Though other studies don’t support dandelion flower as having anti-cancer properties, while the leaves and roots do, with dandelion flowers being full of carotenoids and flavonoids, I see no reason not to eat as many as possible! The flowers also contain lecithin. Lecithin is known for nourishing the brain and calming the nervous system and helps the body digest and utilize fats and oils. Susan Weed3 in “Healing Wise” and Brigitte Mars1 in “Dandelion Medicine” both list similar healing properties of the dandelion flower. Taken internally, such as in the form of a tea, tincture, etc, they list symptom relief of headaches, menstrual cramps, backaches, stomachaches, depression, pain relief in general by lessening nerve excitability and mildly tranquilizing, and beneficial to the heart. Applied externally, sometimes infused into water and some infused into oil, it has been used as a facial splash for skin improvement, stiff neck, antiarthritic, sinus headaches and encourages wound healing for skin sores. New research studies on dandelion flowers are showing antimicrobial properties against fungal and bacterial pathogens and significant antioxidant activity with free-radical scavenging. It is the growth and abundance of dandelions that I find most interesting. The tenacity of the plant is remarkable, sprouting out of cracks of sidewalks, open vacant lots and undoubtedly returning despite our best efforts at dousing it with herbicides4. This is because they play a vital role in soil health. They have deep tap roots that pull nutrients (like calcium) from deep in the soil in order to make it available to other plants. They also fertilize the grass, help aerate the soil, loosen hard-packed soils, and reduce erosion. In addition, they help attract ladybugs and provide early spring-time pollen for their food5. There is probably not a person alive today that has not at least seen a dandelion at some point. Most of us have yard filled with them. Due to the dandelion’s tenacity, many believe that utilizing and consuming a plant that adapts and thrives in such modern adversity will help you adapt and thrive in modern adversity. Many also find the bright yellow flower and any food and medicine made with the flower to bring “joy”. My children bring me countless bouquets of dandelion flowers – and see, even without consuming it, dandelion brings me heartfelt joy! 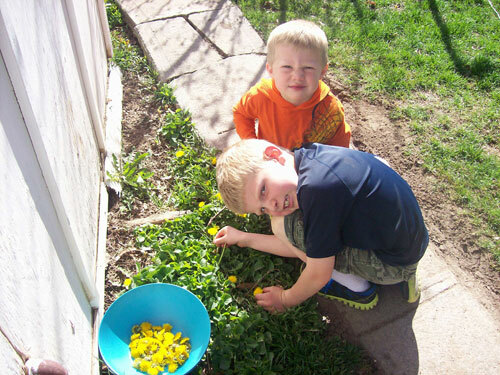 My boys collecting dandelions for fritters! Everyone thinks they know dandelion, right? But there are actually several look alikes. Which in general won’t hurt you, but won’t do you any good as they don’t contain the same medicinal properties. Dandelion has bright yellow flowers and the deeply jagged leaf that spurred the name “dent de lion”, or lions tooth in French, that eventually became our name dandelion. To identify: The leaves grow directly from the root crown in a rosette formation – there is NO central stalk and NO branches (see photo at the top of this post). Leafless stalks that have individual flowers on top – yes, but if you see any branching, it is not dandelion. Also, dandelion leaves are NOT hairy, spiny or fuzzy. Keep these two points in mind and you’re ready to go! The last important note is to make sure you don’t harvest dandelions that have been treated with herbicides. Because dandelions are considered noxious weeds in most places, chemicals are quite often used on them. Only harvest from areas that you know for a fact have not been treated with anything. 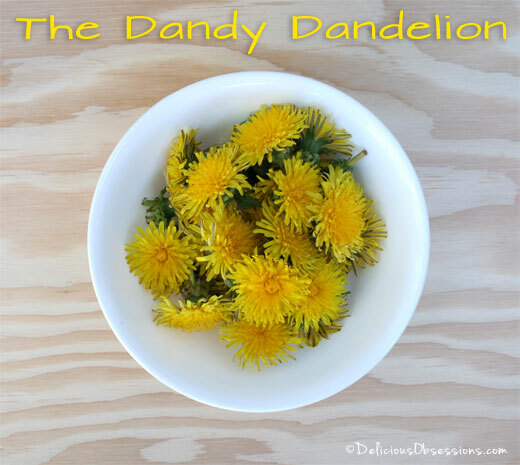 So many dandelions….and it is so easy to cook up some yummy dandelion fritters! Pick some dandelion flowers. Just pluck off the heads. Don’t forget to pick from an area that you are sure hasn’t been sprayed for herbicides. Add several shakes of unrefined sea salt and mix well. Note from Jessica: I didn’t have almond milk or Bob’s flour, so I used 1 cup of coconut milk and 1/4 cup of coconut flour instead. Heat the pan and melt coconut oil in the pan for frying. (We try to use as much coconut oil as possible) Dip each flower head in the batter and drop into pan. We LOVED these salted liberally – with unrefined sea salt of course. Flip when brown. We managed to eat the entire batch in one sitting! 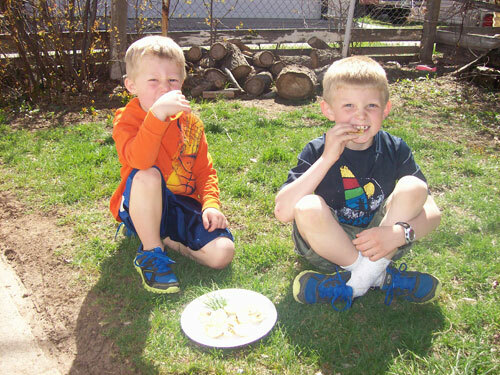 The boys happily enjoying the fruits of their labor! 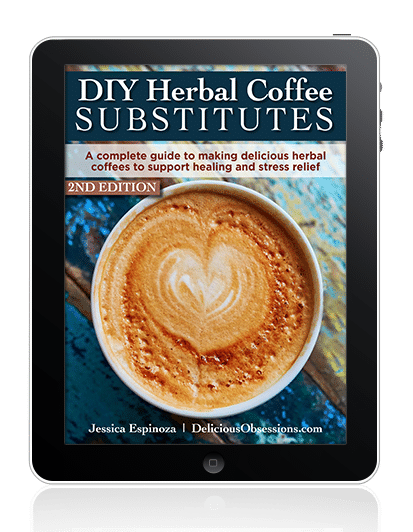 If you’re interested in learning more about herbs and where to buy the highest quality herbs, check out my herbal resources here. Because of this, I wanted to add in a section into this post about the benefit of using herbs with chronic illness. 1Mars, Brigitte. Dandelion Medicine. Pownal, Vermont: Storey Books, 1999. 3Weed, Susun S. Healing Wise. New York: Ash Tree Publishing, 1989. Tilford, Gregory L. Edible and Medicinal Plants of the West. Montana: Mountain Press Publishing Company, 1997. Tilford, Gregory L. From Earth to Herbalist, An Earth-Conscious Guide to Medicinal Plants. Missoula, Montana: Mountain Press Publishing Company, 1998. Great post! I remember reading a couple of years ago about a Canadian farm was growing dandelions commercially, to the tune of almost a 100 acres! There was/is a huge market for the beautiful flower for medicinal purposes. What made the story all the more interesting was that in Dallas, where I lived at the time, there was practically an entire industry dedicated to trying to eradicate the “lowly” dandelion from the lawns in the area. Side note: when the calcium in the lawns was adjusted to optimum levels, the “dandelion problem” cured itself. 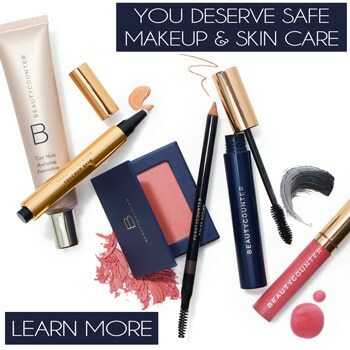 Wow, this was a great post! I may have to try this sometime. Actually, I don’t mind having them in our yard, either. I think they look bright and cheerful, while so many people want to get rid of them. I ate dandelions for the first time this year. It was so fun to “forage” in my own yard, and the result was delicious.